In a commercial building, a fire sprinkler system is one of the most effective ways to control and extinguish fires. A well maintained fire sprinkler system can mean the difference between minor damage and total destruction. 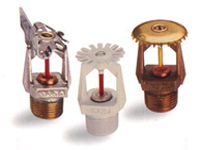 A fire sprinkler system is a group of pipes and sprinkler heads located on ceilings or overhead. They slow the spread of fire or extinguish fire by releasing a spray of water. They are designed to cover as much area as possible to provide widespread coverage. Most fire sprinklers are heat activated. When heat is detected, water is released and the fire alarm will likely be activated. Obviously, we need fire sprinklers to be as reliable as possible. So when and why do they fail? Fortunately, most of these problems can be alleviated with proper, regular inspection of your fire sprinkler system by a trained professional. The NFPA suggests different intervals per year in order to ensure effectiveness. Annual inspection should include all of the above, plus professional inspection by a certified professional for code compliance and tagging. 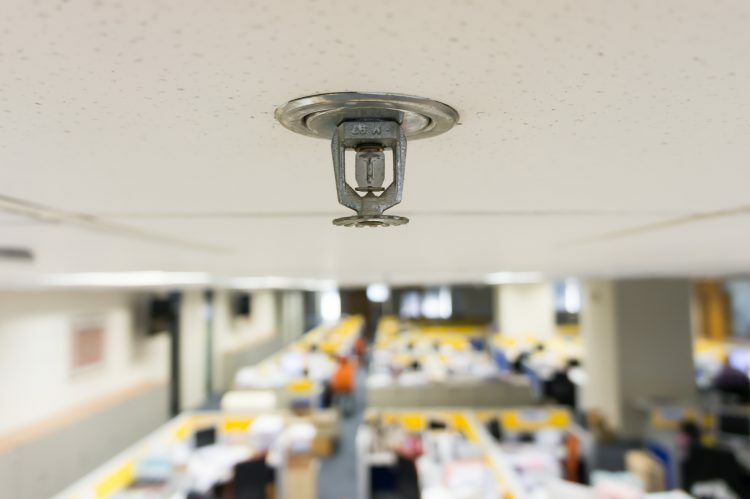 Well-maintained fire sprinkler systems are paramount to your building safety and occupants. The professional at Total Fire and Safety is dedicated to keeping you safe and in code compliance. Give us a call today to schedule an inspection at 630-960-5060. 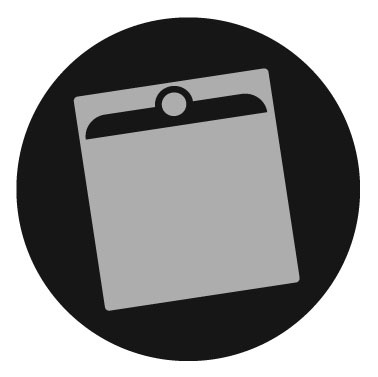 Category: Business Safety, Fire Safety, Sprinkler Systems, Total Fire and Safety Tags: commercial fire safety, commercialfiresprinkler, fire safety, Firesprinkler, firesprinklerinspections, sprinkler, sprinklerinspections | Comments Off on Will your fire sprinkler system work when the heat is on? Have you heard of MIC? MIC is a microorganism that could be affecting your commercial fire protection, more specifically, the pipes in your sprinkler system. MIC stands for Microbiologically Influenced Corrosion, and is becoming increasingly prevalent nationwide. There are three main causes for the rising cases of MIC in commercial fire sprinkler systems: changes in pipe materials, the way we disinfect the water, and increased maintenance activity in sprinkler systems. The MIC microorganisms do not directly cause the damage, however their biological processes produce different chemicals that accelerate corrosion, or rusting in pipes. MIC is more common in warm weather areas, but incidences have now been reported nationwide, even in in Illinois. It is estimated that North American companies spend about $1.5 billion per year on chemical treatments to combat MIC. Early detection and preventative treatment for MIC is key to preserving your sprinkler system. So what can you do? 1. 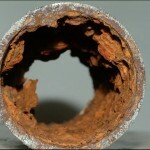 Piping should be flushed in new systems to remove oil and debris, which is potential food for microorganisms. Newer systems are designed to be flushed easily. 2. Test and drain systems as infrequently as possible, because fresh water can bring in more food for the microorganisms. 3. If your pipes are especially MIC prone, you may consider thicker wall piping. 4. Use water tests, but don’t rely on them solely to detect MIC leaks. 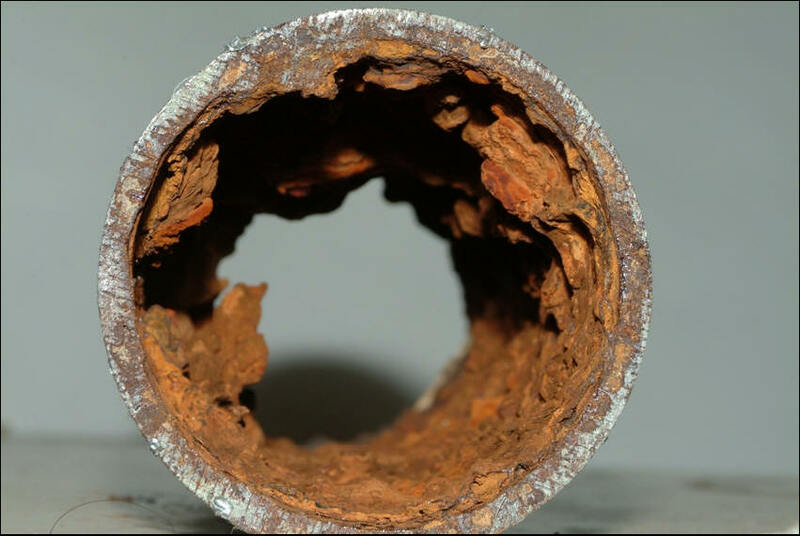 Watch for leaks at the joints of the pipes, but keep in mind that water tests are not conclusive because microorganisms are always present in small amounts. Water tests are, however, the first step to identifying MIC as a problem in your system. At Total Fire & Safety, we are experts in early detection as well as potential treatment options and solutions for MIC in your sprinkler system. If you would like a check for MIC, or if a water test has confirmed MIC in your sprinkler system, contact us to find the most cost effective way to treat the problem. We will provide the total solution! Your facility’s commercial sprinkler system lies dormant until their operation is critical during a life-threatening emergency. If they fail at that certain time, lives can be lost. Regular fire sprinkler inspection can ensure peak performance when the situation heats up! Sprinkler systems respond to heat, not smoke, and are carefully designed to activate early but only in real fire, not non-fire situations. Sprinklers release much less water than a fire department would, however by the time the fire department arrives, more water is needed to extinguish the fire. One of our services at Total Fire & Safety is to perform regular, on-site sprinkler inspections to help our clients comply with NFPA 25. NFPA 25 is our guideline for inspection, testing, and maintenance of sprinkler systems (water-based fire protection systems) to avoid failure and ensure fast, effective response in a fire emergency. Sprinklers are very effective; however, a recently published report by John Hall, Jr. entitled “U.S. Experience with Sprinklers” revealed that in reported structure fires from 2007-2011, sprinklers operated 91% of the time in structures large enough to activate sprinklers. Their effectiveness rate was 96%, which is good, but not perfect. Why would a sprinkler system fail in an emergency? 64% Shutoff of the system before fire began. This may occur in the course of routine inspection or maintenance and is easy to monitor for safety. 17% Lack of maintenance. If a sprinkler system is not maintained, chances are it will not operate correctly in an emergency. 6% Manual intervention that defeated the system. Sometimes we are to blame for turning off or damaging the system during its deployment. 6% Inappropriate system for the type of fire. A competent fire protection company like Total Fire & Safety can help you determine the right sprinkler system for the job, whether it be wet pipe or dry pipe systems. 7% Component damage. Proper inspection and maintenance can ensure that the fire protection equipment is in proper working order. As you can see, your sprinkler system must be well maintained and ready to deploy at all times in case of a fire. When is the last time you had your sprinkler system inspected? Call Total Fire & Safety today to see if maintenance or an upgrade is needed at 630-960-5060. Properly installed and maintained automatic fire sprinkler systems help save lives. Because fire sprinkler systems react so quickly, they can dramatically reduce the heat, flames and smoke produced in a fire. Superior field service is a fundamental strength of Total Fire & Safety and has made us the preferred service provider for thousands of customers. We offer the full range of scheduled fire sprinkler inspections and maintenance services, as well as 24-hour/365-day emergency service. We service sprinkler systems in commercial structures. We also test fire hoses. Our technicians are highly trained and state certified. Our service trucks carry everything needed to get the job done right. Various parts of fire sprinkler systems must be tested at different intervals per NFPA 25. Are systems functional upon arrival? Are gauges good and reading correctly? Are main control valves open? Do control valves operate through full range? Valves are lubricated as needed. Are there extra sprinkler heads in cabinet? Is the building heated in wet sprinkler area? Are the water motor and gong functional? Is the electric alarm test satisfactory? Are the alarm devices functional & free of damage? Is stock and storage 18″ below the sprinklers? Alarm time delayed in seconds?